A wedding is an unique event for all of us. Wedding planning is often initiated several years in advance, and every detail is wanted to be thought through carefully. Music plays a very important role in the success of the wedding party. Music can be used to lighten the atmosphere, fill quiet moments and raise the festive atmosphere towards the end of the evening. A professional wedding DJ will free up the wedding couple, maid of honour and best man to focus on other festive arrangements. The style of music for the wedding in agreed with the wedding DJ in good time before the big day. The wedding couple has the possibility to make even precise musical requests or give guidelines with regard to the style of music. All Popmaster’s wedding DJs are experienced music workers, who have the ability to read the mood of the party also during the evening and modify the musical style accordingly. Music plays an important role right from the very beginning of wedding parties. The wedding DJ will meet your guests when you yourselves are still on your way from the church to the wedding reception venue. He/she also serves as a party ice-breaker in the early stages of the party when happy chatter has not yet properly begun. Popmaster’s sound equipment can be freely utilized also in the rest of the party program, such as presenting of the program, contests and speeches. The wedding DJ is present throughout the party, ensuring that the equipment is functioning and that the desired atmosphere is achieved. 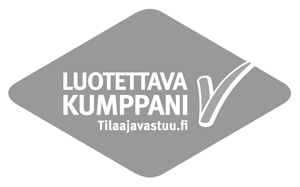 We work widely throughout Finland. Our areas of operation are Helsinki, Tampere, Turku, Pori, Lahti, Jyväskylä, Vaasa, Oulu, Kuopio and their immediate surroundings.